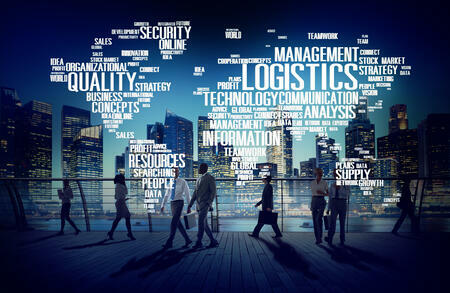 Logistics and supply chain discussions can be found at all levels of the organizations today. For years, logistics and supply chains were considered a cost center, but that all changed as companies have seen from Wal-Mart, in its early years, and now with Amazon, that strong supply chains create and drive a competitive advantage that is hard to compete against. While both these companies are considered retailers, they are just as much logistics companies driving value through their value proposition of getting the best product in the hands of their customers quicker than their competitors. If the customer decides they made a poor choice, then these companies also have figured out how to deliver the best return process, as well. All-in, there are none better and the rest of the world is playing catch-up or filing bankruptcy. To start our discussion, let’s begin with definitions of supply chain. Often, the terms logistics and supply chains are considered synonymous, but they are not. Logistics is a subset of supply chains and is defined as the movement of goods within an organization’s stakeholders from suppliers to manufacturing, to distribution centers, and then finally to the end customer. 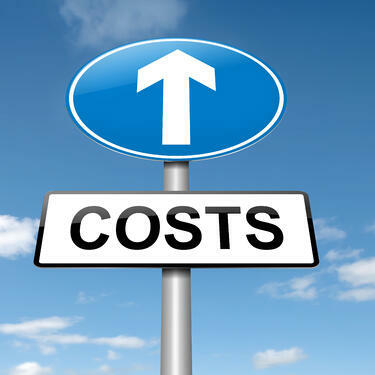 The goal of logistics is to get the product from point A to point B at the lowest cost with the best service. 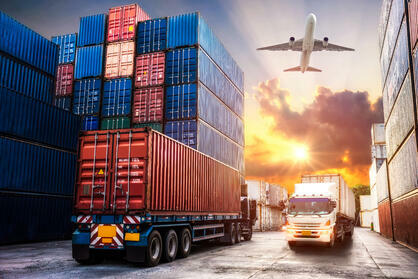 Inbound and outbound logistics activities can be found within all organizations that are product driven. A supply chain, on the other hand, is the coordination, management and strategy that drives the flow of data, information and logistics to deliver the best product and service to all stakeholders in the process of converting raw goods to the end salable product. A supply chain is the activity of coordinating the efforts among multiple organizations to achieve success, not just the company selling the product to the end customer, so it includes: sales, sourcing, procurement, production, logistics and customer service. The system of organizations, departments, people, activities, information and resources in moving a product from supplier to customer. In a well-tuned supply chain ,manufacturers, wholesalers, retailers and consumers are all brought together in a free flow of product, service and communication to deliver the best customer experience. This is where Amazon excels and continues to be on the cutting edge. When the activities of a supply chain are brought together into a single vision, supply chain management drives a competitive advantage by executing faster, reducing friction through all points, being more transparent throughout the process, and finally, delivering beyond the expectations of the end customer. As described by Jeff Bezos, this process creates a flywheel effect. In effect, a flywheel at standstill requires a great deal of effort to begin spinning, but once in forward motion it begins to develop its own forward momentum making it increasingly easier to spin and accelerate faster-and-faster with each of the next spins forward. Amazon thinks of its business of supply chain management in the same way where each time an employee pushes the flywheel forward, it accelerates even faster for the end consumer. To sum up logistics and supply chains, think of a football game where logistics is the game on the field of play and the supply chain is the stadium where the game is played. From the game perspective of the analogy, the movement of the ball up and down the field of play to deliver a score is logistics. The stadium, on the other hand, represents all the physical and communication components. Think of the massive amounts of money put into a professional football stadium to deliver the best experience for the buying customers (the fans). There is the stadium itself, plus the communication points between coaches in the box to coaches and players on the field. The communication network allows calls, still pictures and replay videos to execute to the highest levels to score points and have the customers standing on their feet cheering for more. The feedback mechanism of scoreboards, referees, replay screens, and for those really into the game, radio commentators (providing play-by-play and overall game analysis), give feedback all along the way through a scoring drive to assist in delivering the very best results. A company’s lifeblood is its supply chain, which makes it a differentiator in this highly competitive business environment, as it touches every aspect of a company. To succeed, a company has to embrace the customer, its suppliers and its employees to create the right product, deliver it on-time, meet the financial expectations and consistently improve upon on it with the flywheel concept fully engaged. It is not ok to be great one day and not the next. Customers that engage with a company that has a great supply chain can see it the moment they place their order and does not end until the product is delivered and customers is truly satisfied with their purchase. 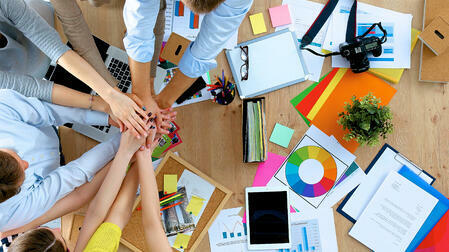 Great supply chains are not siloed inside or outside the organization. The company embraces frictionless communication across the various functions within its company to a point where it is difficult to see where one begins and the other picks up and runs it through the next phase of delivering the very best customer experience. This also includes integrating the systems and communications with suppliers on the inbound component, the customers on the outbound and everything in between. 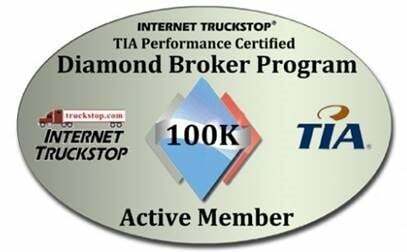 A top-tier supply chain driven company will continually invest in the best technology. While people lead the customer centric charge, technology is the key component to facilitate the movement of information, perform the what-if analysis to improve the next delivery for cost, service and customer satisfaction. Having a great idea and being able to produce it does not guarantee success. There is an inbound network and outbound network that needs to be in place to ensure the company can consistently purchase what it needs, have it delivered consistently, know when it will arrive to have the resources ready to create the valued product, then have the orders ready to be fulfilled. For the end customer. All this needs to happen in a timely manner, without interruptions. To quote W. Edwards Deming, “if it is not measured, then it will not improve” has taken on a whole new meaning in today’s supply chain decision making process. The amount of internal data that can be captured, along with external market data that are part of managed transportation service solutions, brings business intelligence to a level that can blow away service and cost optimization models of old. Those companies that grasp this concept and run with it advance exponentially. 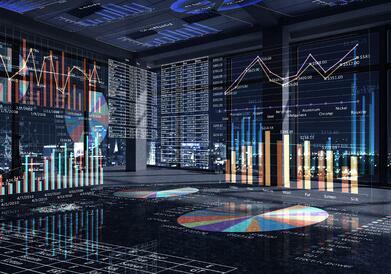 Supply chain leaders use data to do more than analyze future execution strategies. The strongest providers have figured out how to optimize the data, integrate systems and bring the best technology to deliver the greatest customer experience. Final mile customization is more than just customizing the product for leaders in this category. 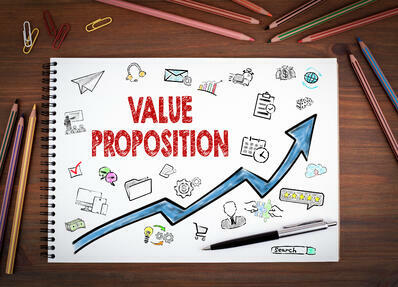 Customization and flexibility includes the communication and delivery methods. For those working in the ecommerce market, today’s customers expect more than to just see a package on their doorstep. They expect customized and timely communication. One item that sticks out is on a return where the e-tailer credits their customers as soon as the package is scanned at a return center. The main point with prepare for the unexpected is to diversify, but there is more to the story. A company can only diversify if they have the data, along with the technology. 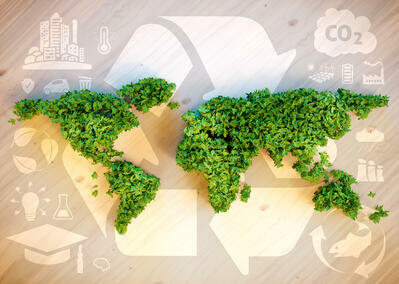 More and more, the topic of sustainability enters the supply chain conversation, particularly as the millennial generation continues to push this important topic forward. Keep in mind that environmentally friendly discussions within a supply is more than modal conversion from truckload to intermodal or LTL to consolidated truckload to improve the carbon footprint, but also packaging and processing carbon by-products used within a supply chain. Governments around the world are taking the idea of sustainability a step further by imposing taxes to make shippers see the immediate bottom line impact of their carbon impact. As an example, check out the tariff put out by the CP, one of the Canadian Class I railroads, where there is a charge for moving freight in a particular providence. There are internal rules and regulations to ensure the flywheel is picking up speed, so their are guidelines, measurements and meetings to keep the company focused on moving its initiative of having a competitive supply chain. Track and trace used to be the term logistics teams used for monitoring their freight, but that term has evolved to transparency meaning nothing goes unnoticed and is communicated. 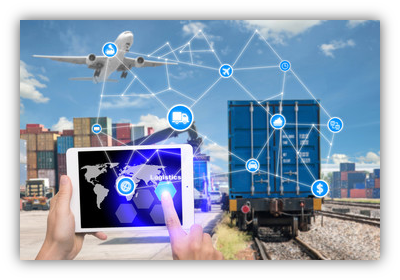 Outside of the logistics aspect is transparency of data throughout the supply chain, with company systems talking amongst themselves, but also externally to vendors, suppliers and customers for full vision of all activities within the supply chain. The topic corporate governance and ethics falls into this category. With a company’s supply chain touching every aspect of a company the C-suite has their hands full from customer advocacy to employment law to just about every other law in the book. The above are fairly straightforward concepts, so we’re going to pass on going into greater detail with each. 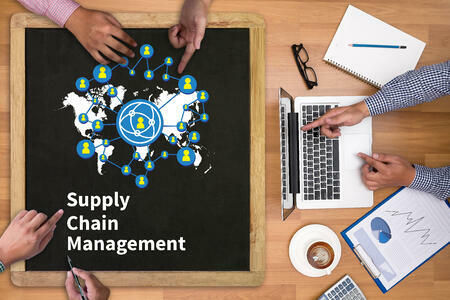 One important point to add to the topic of challenged supply chains is the concept of “you are only as strong as your weakest link,” Just because you can tick off the majority as non issues, if all are not marked off, then a company’s supply chain has work to be done to make it a competitive advantage. Now, if you believe you were able to check off all the boxes above, then let’s take one more run at the financial impact of a challenged or under-invested supply chain. The below list may have you rethinking your initial review. The key to having the best supply chain is technology, combined with a great team that grasps the concept of the flywheel effect for their company’s supply chain. As part of the technology, systems within and outside a company need to be linked for real-time data exchange of information to speed up processing, identify issues, eliminate human error, and reduce the friction of all stakeholders from supplier to end customer. In other words, computers are doing the work humans have typically done. Autonomous or semi-autonomous examination of data that goes beyond business intelligence (BI). The interconnection of the internet of computing devices to enable them to send and receive messages and / or tasks. A platform that creates dialog with limited to no human intervention. This is a fancy word for technology that attempts to emulate the physical world through digital simulation. Most of us think of blockchain in cryptocurrencies. Blockchain in logistics record transactions track assets which creates a transparent and efficient flow of documents and data. Some of the above terms are beginning to show promise, while others are falling behind until the technology catches up with the concept. In any case, if you are working your supply chain on a spreadsheet or outside of the cloud, as many others still are then your company has some catching up to do, as the article entitled “Two-Thirds of Companies Consider Excel a Supply Chain System outlined. Companies cannot be all things to all people, so it needs to figure what it is great at and focus its resources in those areas, then consider alternatives to the others. In some cases that means a company invest internally, while other situations would indicate the company needs to look outside its four walls. We are not here to suggest that your company needs to go outside services to shore up its supply chain, but there are companies out there that have this as their core purpose. These companies take many shapes, sizes, expertise and costs. In some cases, these companies stay focused in one area, while others try to open it up to many aspects of a company’s supply chains. The term used for these supply chain solution companies are logistics service providers or LSP’s. 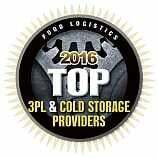 Logistics service providers sole focus is improving and optimizing a company’s supply chain. LSP’s have scale across a great number of customers, which creates an economy of scale that allow them to pass along personnel, market intelligence and technology in a variable cost model to shippers. The savings cannot be underestimated. The scale also brings with it the ability to be flexed up and down to meet its vast customer base. While the first two benefits are often talked about, this one is often overlooked. In an outsourced transportation management service solution, a shipper can be up within 30 to 120 days, depending on its size. This is in comparison to shippers taking 4 to 6 months to implement, then another 4 to 6 months to be running at full speed. 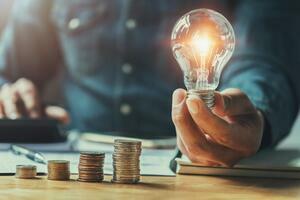 The savings brought to an organization can easily be a seven figure impact that can be had in the year its implemented versus when opting for an internal solution. When a company decides to keep its solution internal, it misses out on the tremendous amount of data and market knowledge a LSP is absorbing and acting upon daily. Sure a company can pick on its own information, but it misses out on many data points that are not easily found in industry articles or extremely time consuming that there is no way all the data collection and analysis of other market trends can be absorbed. LSP’s talent pool is both broad and deep. This is not to take anything away from a shipper’s talent pool, but to say that the scale and constant introduction of new personnel resources does not allow for a loss of information or data if a person is promoted up or out of a department. This topic falls under the thought of stick with what you excel at, then outsource what takes away from that focus. 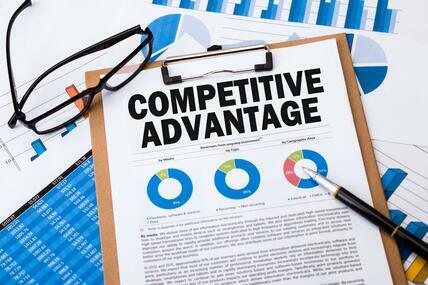 In other words, allocate your resources in a way that creates a competitive advantage. By outsourcing the components or processes that you have neither the time or resources to be the best at to those that are will drive even further enhancements to your product and service that will exceed your competition. In other words, all companies can benefit from outsourcing some or all of their logistics and supply work. The reason being is the expertise, technology, process and market data that comes when partnering with a leading LSP will bring a competitive advantage to any company. The key to be successful in the endeavour is to make sure you do the due diligence and align your company with a logistics service provider that is the best fit because there is not a one-size fits all solution. Even the biggest and best name sakes in the industry will not be a perfect fit for everyone, so do your homework. We'd love to be a part of the conversation on your next bid, whether as a provider of truckload, intermodal, LTL, managed transportation services or executing the RFP process with market data included.